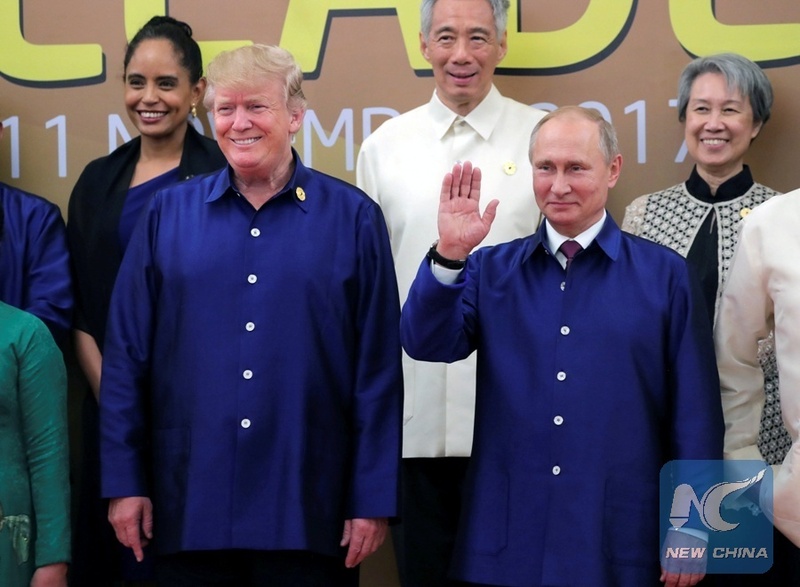 WASHINGTON, April 16 (Xinhua) -- The United States is considering imposing more sanctions on Russia and the decision will be made "in the near future," said the White House on Monday. "We are considering additional sanctions on Russia and a decision will be made in the near future," said White House Press Secretary Sarah Sanders in a statement. The announcement came one day after a senior U.S. official revealed that Washington was preparing to roll out a new round of sanctions on Moscow as early as Monday for its support of the Syrian government. Nikki Haley, the U.S. ambassador to the United Nations, said on Sunday that new sanctions, if they were ready, will be announced on Monday by U.S. Treasury Secretary Steven Mnuchin. The Trump administration has already slapped two rounds of sanctions on Russia in the past few weeks, citing their alleged interference in the 2016 U.S. elections and the engagement in "malicious" cyber attacks. Washington-Moscow ties kept deteriorating over the suspected chemical weapons attack in Syria on April 7, as U.S. President Donald Trump accused Russia, along with Iran, for their support of the Assad administration in Syria, whom Washington said should be responsible for the deadly incident. The United States, Britain and France on Saturday launched missile strikes in Syrian capital Damascus and the central province of Homs to retaliate for the Syrian government's alleged use of chemical weapons in a rebel-held district east of Damascus last week. On Sunday, Russian President Vladimir Putin and his Iranian counterpart Hassan Ruhani condemned the airstrikes over phone, agreeing that the "illegal action seriously damages the prospects for a political settlement" in the war-torn country, according to a Kremlin statement.